We are The Gold ATM – a gold and diamond business which has set the standard for low-interest jewelry loans in the city of Atlanta. With more than 250 five-star reviews on Google (and counting), we are the highest-reviewed gold business in the area. Not long ago, we opened our fourth office next to Hartsfield Jackson International Airport, located at 100 Hartsfield Center Pkwy, Atlanta, GA 30354. Thus, we look forward to meeting our new customers residing in the East Point area. If you don’t want to sell your gold jewelry or diamond jewelry, but you are in need of some cash, The Gold ATM is the right place to visit. We offer low-interest jewelry loans and pawn loans starting as low as 5%; our rates are unbeatable in the whole Atlanta area. Plus, we pay on the spot. It is also good to know that we operate from a high-rise office setting; that ensures that our customers’ belongings are safe and secure at all times. There is no need to worry about your pieces; they are well taken care of. We are not your typical “we buy gold” store; our environment is entirely pressure-free. That means that there is no pressure to sell or pawn your belongings if you don’t want to or if you are having second thoughts. We offer low-interest jewelry loans and pawn loans on all kinds of fine gold, fine jewelry, diamond jewelry, high-end watches, designer jewelry, and even some electronics. You can book an appointment and bring your belongings to our Hartsfield office for a jewelry evaluation. Our customers can always count on honest and free jewelry evaluations and consultations. What’s more, we provide evaluations directly in front of you; nothing happens behind closed doors, and there is no need to mail anything in. We can even lead you through the evaluation process and show you the finer details of your jewelry on our digital microscope. Finally, you can always rely on us to provide the best rates. 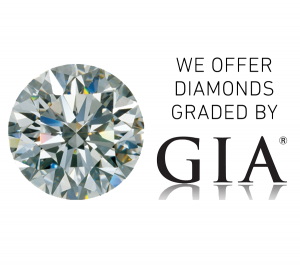 Besides being Atlanta’s highest-reviewed gold and diamond buyer, we are also known for low-interest jewelry loans and pawn loans. Your search for good rates and a reliable buyer in East Point can end now.